This cleanser is the ultimate luxury product especially with a price tag of $149, usually for me I use around £20 mark. 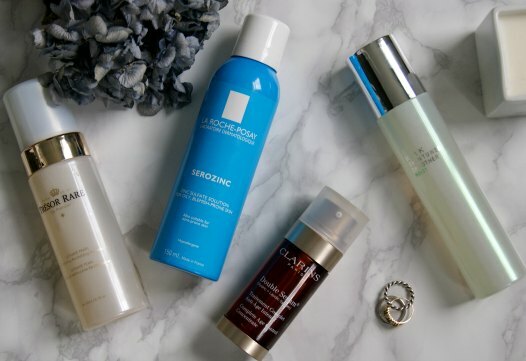 I have been using this product two times a day using circular movement, with something this expensive you want to make sure you use every drop to its full potential. The cleanser has a creamy texture, which foams up to get rid of impurities and makeup making my skin clean and smooth ready for the next steps. This is a new addition to my cleansing ritual and new to the UK. 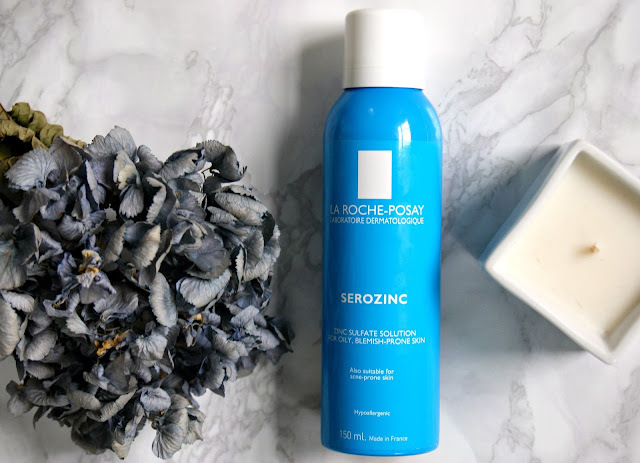 The Serozinc is a zinc sulfate solution which is targets spot prone/oily skin and currently I am having a break out BOO. This toner has just hit the UK and from being a hit in France it's set to be a big here. This toner is different from usual ones as it's a spray which tightens up pores which is nice and simple and then you just pat away the excess. 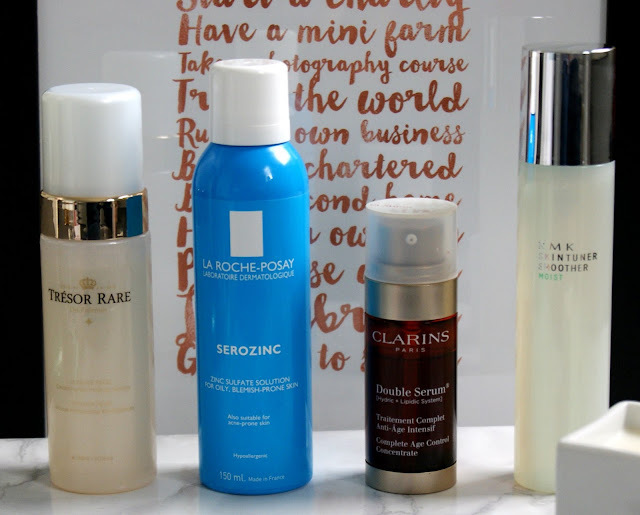 After winning countless awards I just had to try this serum and it did not disappoint! The Clarins Double Serum is made up of 20 plant extracts and has a two phase system to revive skin. After a few weeks of using this baby my skin feels firmer and smoother, I have not really used serums before this year but this is one fab product although not sure how long it will last. 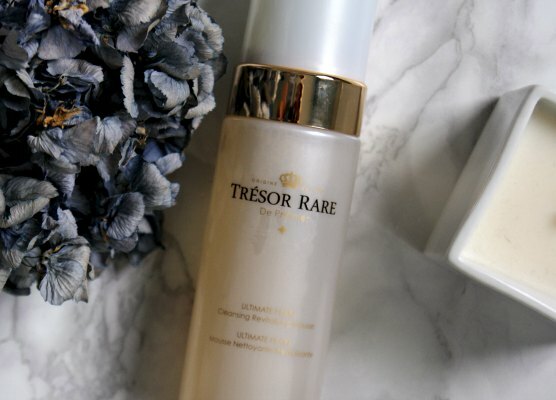 This moisturiser has a hidden talent of also exfoliating, taking off a layer of dead skin, that enhances my skins radiance and creates baby bum softness. 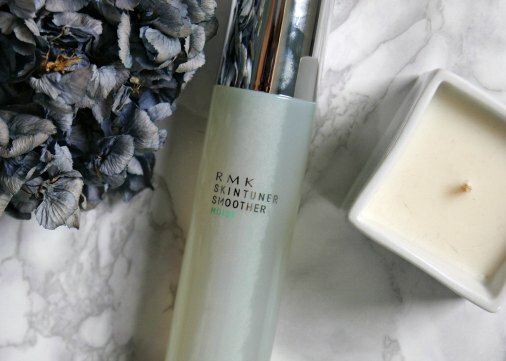 The moisturiser is infused with RMK‘s staple skincare ingredients: Citrus Aurantium Peel Extract for ultimate skin nourishment and Bilberry Extract, both of which strengthen the skin’s barrier function, it also contains Apricot Extract to soften the skin, while Rosa Fruit Extract restore its native elasticity. Keep in mind you need a good amount of this so dispense around four pumps.